Yeah, plus the XML1 version of the 'playable' Professor was really awesome. No need to waste a herostat character when we can just do the same thing as they did. which Proffesor X are we using? XML1 or XML2, or matt's power update that adds the XML1 version powers to XML2 version? edit: i only ask because i was thinking about converting Proff X XML1, but if he is not going to be used than there is no point in converting him. I'd say a XML1/XML2 combo. He should have all the XML1 moves, but maybe get a few of the XML2 moves. That's just me though. If it's XML1 -> XML2, then why not use the XML1 professor? He's only a NPC anyway (except for one level and a boss fight), so he doesn't have to have an overly defined powerset. I agree. He just needs 2 normal powers, a boost, and xtreme. He wasn't really that playable in XML1 to begin with anyway. The only thing I can think of replacing is his psy hammer mover for his cleave move. i added both a herostat and a npcstat for the character. He is a direct conversion, 4 powers and one passive. The only thing i left off was might, XML1 gave him might and that just seems wrong to me. But it can easily be added back in his hero/npcstat file. On a sidenote this is Prof X Astral, there is also a Prof X Gladiator. Im guessing they are the same, just with different customes? May I ask: why Dazzler? She seems kinda redundant with Jubilee on the roster. Why not Cable, Banshee, Shadowcat, Morph, or even someone like Northstar? ----**Possibly, haven't asked him yet** Have Norrin do a FBBuilder program similar to FBExtractor. I already have definite plans on how to build the header really easily. (at this point the PS2 version is finished, as I don't know how to alter save states for PS2. Now on back on the to-do front I'm trying to finish up the Xbox MUA SE so I can get back into helping the XML1 conversion process. I updated the first post bigtime. I wanna throw something out though. What about swapping Cable for Dazzler? I mean, Dazzler's cool and all, but Cable's just cooler. yes. Lol, im a little biased since i worked on him, but he has some awesome effects and a working voice thing. edit: the dangeroom combatants is an awesome idea. Mystique, Avalanche, Blob and the other Brotherhood members are villains in the in game dangeroom, so they are a yes to the main menu danger room. Has anyone noticed that you can run 22 characters in XML2's herostat, you just can't get #22 to show up? I thought we'd put Cable in, but make it so you could talk to Shadowcat at the X-Mansion and have her join the team at any given time. Thoughts? that would be a great idea. also the 22th characters shows up perfectly in the menu danger room, they are the first icon in the list. Heh, I should try more than 22. If we can get 23+ in using the conversation method then I'm all for it. I'll be home in a few hours so maybe I'll try it out. --The AI pathing that's strange in MUA works fine in XML2 (a good example is the cutscene just before you fight Blob). --Unrelated, but I found out that the beATeamPlayer() function was what made an AI character playable in XML1. I can confirm that it doesn't work in XML2 or MUA however, which is a huge bummer as it'd be fun to have Havok as an ally and to have Alison playable in the intro with melee only. --I've decided to dump XML->MUA compatibility. Effects and stuff are of course compatible, but trying to rename and renumber all of the characters for a mod that essentially will never be completed (XML1 + XML2 --> MUA) slows things down astronomically. 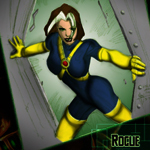 As-is now X-Men Legends PC is a stand-alone app that sits in it's own folder. The additional advantage is that when we go to package this up we don't need to worry about what files to include. We include all of em. Anyways, I've got it playable to HAARP 2, but the doors to the HAARP facility don't open and the tank doesn't come out. If anyone's got that part done that'll make life much simpler. I can do it, but I'd like to go back and polish what I've done.